The setups of the television viewing systems in and around San Diego County are almost as unique as any individual's viewing options and preferences. As such, some people have antenna systems that are needed in order to help them continue to receive a proper quality of reception in their homes. Unfortunately, there are times and reasons that these systems fail or need to be updated. 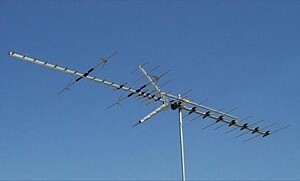 Fortunately, Custom Antenna Systems is a company comprised of a team of San Diego antenna system installers who have been helping television owners with this specific problem for more than 30 years. This capability is one that’s relatively rare these days as antenna systems have become more and more technical and particular in nature, but the team at Custom Antenna Systems prides itself on continuing to act towards customers as if the competition is right around the corner. When someone contacts our team of San Diego antenna system installers because they have a need to have their system put in and integrated with their televisions, many of them have yet to make a decision with regards to the particular antenna system they will use. We are more than ready to help someone work through all of the possibilities with regards to these systems so that our customers can come to a proper conclusion with regards to the product that will work best for their needs. Regardless of whether we help a television owner choose an antenna system or not, we will still consult with a customer with regards to where that antenna system can and/or should go, how it will be installed and how it will work when the job is complete. We make sure that our customers have a full understanding of this process so that the chances that a surprise will arise are minimized as much as possible. In addition to providing our thorough explanation and our expertise to the setup of every job, our team of San Diego antenna systems installers has a long history of providing top-level workmanship to our install projects. We understand that all of the expertise in the world will not overcome the results of our work on providing installations that last and that provide our customers with the best possible viewing experiences. If you are encountering a need for an antenna system and you are unsure of how you should proceed to make sure that this job is done and done right, you need to seek the help of experienced and trusted San Diego antenna systems installers who have been earning the loyalty of customers throughout the county for decades. Contact Custom Antenna Systems today to learn more about how we can help you.